Drum pedal grip customization kit. 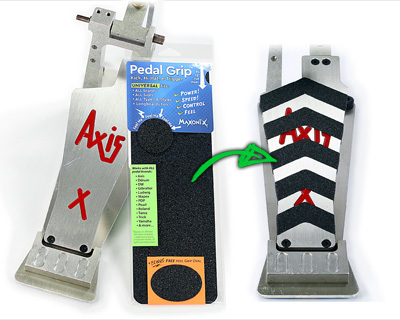 Customize any bass drum pedal, hi-hat or other pedal; from full coverage to strategic grip strips, or any other unique way you like, to make your perfect personalized grip. FREE Shipping in U.S. on ALL Products, ALL Orders, no minimum! Home of the World's Best Drumstick Holders & much more: StickARK™ drumstick holder, Zero-G™ Anti-Gravity drumstick holder™, GigTrix™ drum key clips, QwikSpin™ cymbal nuts & many other innovative drum accessories. Products for use in the studio, rehearsal, and live. Making your life easier with new and better designs for musical instrument accessories. 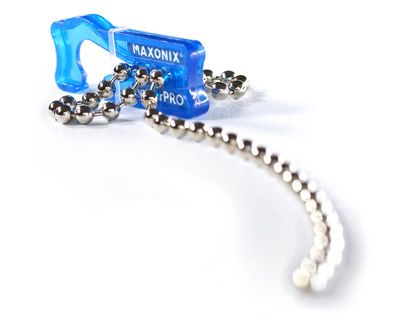 Our products make the process of music creation & performance easier and more fun. From a better faster way to grab a drumstick, so you can keep the groove, to an improved way to manage your guitar cable, all our products are designed to let the music flow & improve your performance. Creativity and artistry in your music should be matched by the same characteristics in the gear you use to make that music. That's what inspires us to develop new & unique products. We strive to make the best ideas come to life. Live or in the studio, you want to focus on your music, not your gear. That's why we believe high-quality is important, not just in design, but also in manufacturing — so we produce products that you can count on for durability & toughness. We make high-quality reliable gear. All our products are Made in USA.